Collectors often ask me for advice on how best to sell their collection. There are many reasons why people decide to sell their model or toy soldier collections. Sometimes personal circumstances may force the sale of a cherished collection. A simple change of interest, lifestyle or an inheritance or gift can also result in a collection coming to the market. If possible have an idea of how much you want for the collection. Does the collection need to be sold within a given period of time? How much time if any can you allocate to the sale of your collection? Depending on the number of models within the collection and the amount of time that you have available to allocate to the sale, I would consider selling the models yourself. This is by far the most time consuming option but is likely to be the most financially rewarding to you. You could consider renting a table at a toy fair. This is likely to require multiple visits to a number of toys fairs over a long period of time in order to sell most of the collection. 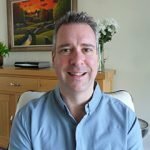 You need to consider the amount of time involved, travelling costs, table costs and taking into consideration the potential number of unsold models. Alternatively you could try selling the models on an online auction. Once again this is likely to be very time consuming and expensive. Selling costs when averaged out can be in the region of 15% to 20% of your sales totals. Consideration needs to be given to packing materials, shipping, insurance, damages, claims, returns, unpaid invoices and unsold items. Markets, car boot sales, classifieds and alternative online platforms are all worth considering. These options can be very time consuming and will incur costs with no guarantee of a successful sale. With numerous TV programmes exploring the antiques and collectibles market, auction houses are a popular option. Online bidding has allowed auction houses to become much more accessible, enabling people to bid from their own home. When considering selling your collection at auction you need to do conduct some research in order to find the right auction house for you. After all, you are entrusting them to sell your cherished collection. Many auction houses specialise in collectibles including Toys. Before instructing an auction house to sell your collection it is vital to check the entire process including charges and fees. The auction house will charge you commission & VAT which will be a percentage of the hammer price of each of your items. This can range from 10% through to more than 20% with some auctions and they will charge both you as the seller and the buyer. You will be given an estimate by the auction house of how much your collection is likely to sell for. This is only a guide and whilst some lots will exceed their estimate it also worth noting that some will fall short or even remain unsold. You can set reserves which means the lots will fail to sell if a certain price is not met which can results in the goods remaining unsold. You will need to find out if the auction will collect your collection or if you will have to deliver it to them yourself. Please also give consideration to when the auction is due to take place. Depending on the workload of the auction house it could be several months before your collection is auctioned. You will also need to consider what you would like to do with any unsold lots. Would you like them back or are you happy put into the next available auction. 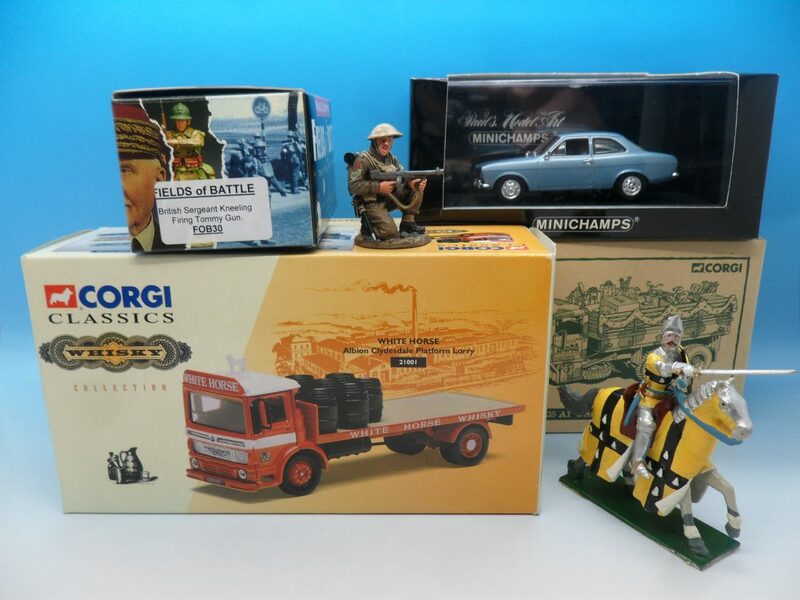 I have bid on diecast and toy soldiers from many auctions with varying results. On occasions I have witnessed models exceed their estimates and on other occasions I have managed to buy a bargain, sometimes paying less with buyer’s commission than I would have offered if I was buying the models directly from the original owner. An auction house can showcase a collection to a wide audience of potential buyers. Some people will enjoy the excitement of selling their collection at an auction. There is an element of gambling as you will not know the final price that you will receive for your collection until the auction has concluded and commission charges & VAT have been deducted. It is important to note that the final price could exceed or fall short of the original estimate that you were given. There are no guarantees. The final option that I would like you to consider is to sell your collection to a dealer like myself. I have been buying and selling diecast models and toy soldiers since 2000 and have successfully purchased many collections over this time. Selling to me is simple. Just make contact in whichever way is easiest for you. Once I know the details of your collection I would be pleased to make you a firm competitive offer. Should you be happy with my offer, I will make arrangements to collect the collection at your convenience and make payment in which ever means suits you best. Whichever option you are leaning towards it is always worth contacting me. Even if you decide on an alternative selling route or decide not to sell at all you have nothing to lose by obtaining a firm offer from me.